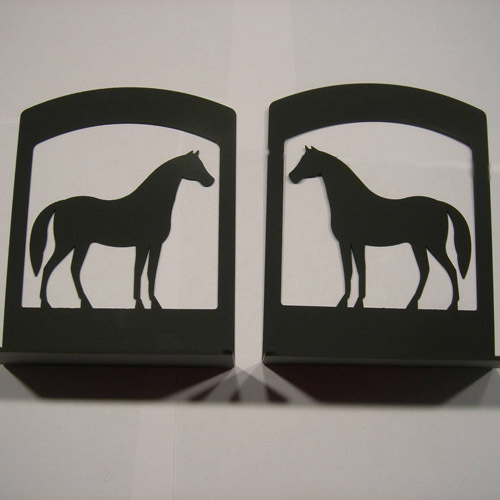 Desc: Wrought Iron Horse bookends. 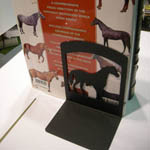 The bookends are dark brown and have a matte finish. The bookends are square and are open in the center. The horse is standing in the center of the opening and has head held high and proud.